As a homeschooling parent, I am always looking for ways to keep my children’s attention when it comes to learning. 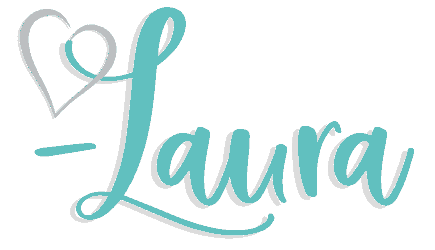 I have found that using audio productions in homeschooling has been an incredible resource! You get to listen to literature and go on an adventure as the story unfolds. I especially love using Heirloom Audio and their latest release, For The Temple, is no exception. Each child learns differently and at their own pace. Over the years, I have learned that trying to find new ways to teach my children is vital to their education. Some kids excel in reading a book either to themselves or aloud, while others benefit from having a book read to them. When I came across Heirloom Audio, I knew I struck gold! Heirloom Audio offers CDs as well as digital downloads. I turn on my phone, tablet or computer with the story and let my children listen. The stories are full of personality and are a joy to listen to. My kids are tuned in and engaged in the story. Several years ago my husband blessed our family with the ENTIRE collection of hardbound Henty books. I was in homeschool and book heaven! We have moved a lot while my husband was active duty and moved a LOT of books during those moves, including this entire collection! While I love, love, LOVE my collection and keep it beautifully displayed in our formal living room, I also realize that reading directly from a book is not the only way that I’m going to help build my children’s vocabulary and increase their knowledge of language arts. You can use storytelling and audio productions as a great way to teach as opposed to sticking with a worksheet. I read to ALL my kids. When I say all, I mean even my teenage son who has been reading at a college level since 3rd grade. He is 15 now and we all still pile together and read as a family. This is a time I cherish!!! Having said that, I wanted to help you to see why it is so important to read and have story time with your kids no matter what their age. Learns | Listening to an audio story or even reading on a computer screen or book is an excellent way for your child to learn to listen. It helps them to work on their learning skills and block out the distracting environment around them. Awareness | Maybe in the story you hear someone being scared and the person changes their tone in the voice. This is a great way to help your child learn awareness and even distinguish between the different emotions based off the speaker’s tone as well as what is being said. Attention Span | A small child will inevitably have a shorter attention span. However, each child is wired differently. Some have long attention spans while others have shorter attention spans. But over time, your child will grow in their learning and their attention span will grow as well. It also helps teach them to follow the rules and to focus on one task. Imagination | Stories are a magical way to allow your child to use their imagination in a way no other method can teach them. They hear the words being said and can draw it up in their mind. They feel as if they are a part of the book. Social Skills | Reading and listening to books helps with communication and can be an excellent booster for developing social skills down the line. Vocabulary | This goes along with social skills, but I wanted to ensure parents know about this. Books help teach new vocabulary to your child and the ability to use new words correctly in a sentence. What is Heirloom Audio’s For The Temple About? 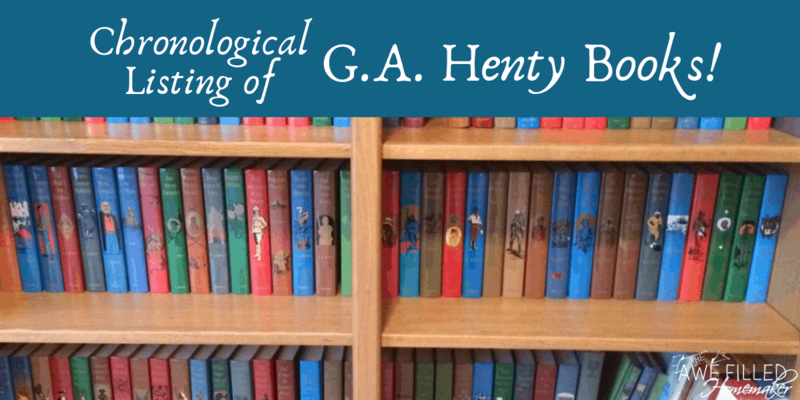 If you have not heard of Henty’s books, you are in for a treat! Henty was an absolutely brilliant 19th century author. He had a gift at storytelling while remaining historically accurate. His amazing stories for boys encouraged moral traits such as honesty, courage, diligence, and duty. 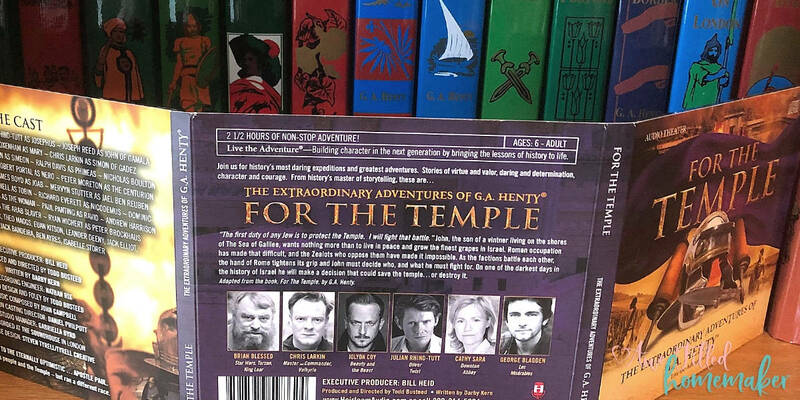 Heirloom Audio takes Henty’s works and sets them to life in radio drama style that captivates kids and adults alike into the story. For the Temple is about John of Gamala during the years of Roman occupation. 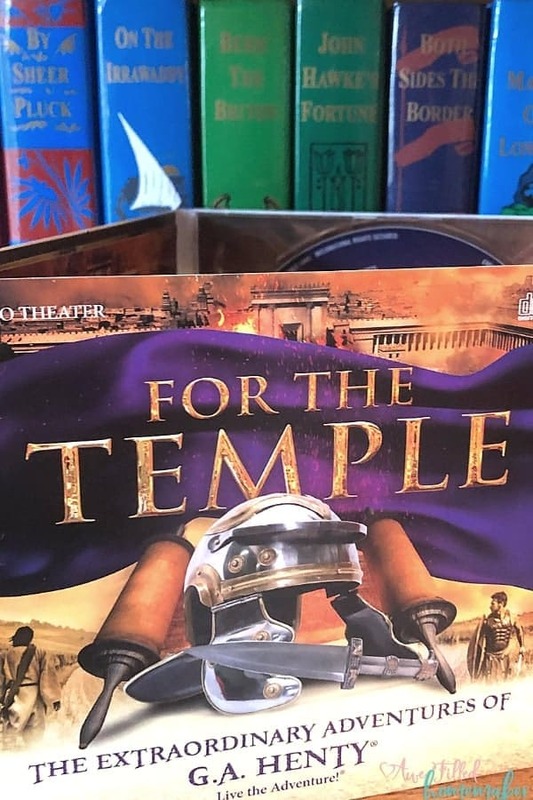 Set during the last days of the Temple at Jerusalem, John of Gamala desperately tries to save God’s temple defending Jerusalem during Roman Siege. How did we use Heirloom Audio’s For The Temple? We love these CD’s especially since we are a busy family who loves to travel. Sometimes desperate times call for desperate measures and we end up “Car Schooling.” We love these CD’s to keep handy or grab on our way out. We used it as we drove about town and traveled in the car. It kept the kids totally immersed and entertained. We seized the opportunity to listen to the audio and listen to the drama unfold while learning about history as we went! We were also sent a copy of the study guide that accompanies the CD. The study guide was a great addition! We would listen to the CD in the car and then when we were not moving, ie the car garage- we would work in the study guide. We really enjoyed using this too. The study guide reinforces if your child is actually listening and learning from the CD. Also, it pushes learning a bit further. There is also vocabulary words included in the study guide which I really liked with my older kids. As any homeschool parent knows, learning through reading and listening is unimaginably important. Also, finding different tools and resources to pair with your homeschooling curriculum benefits you and your child greatly. If you haven’t tried adding in audio productions to your homeschool, you’re really missing out! Give Heirloom Audio a try to see how much your kids love them, too. 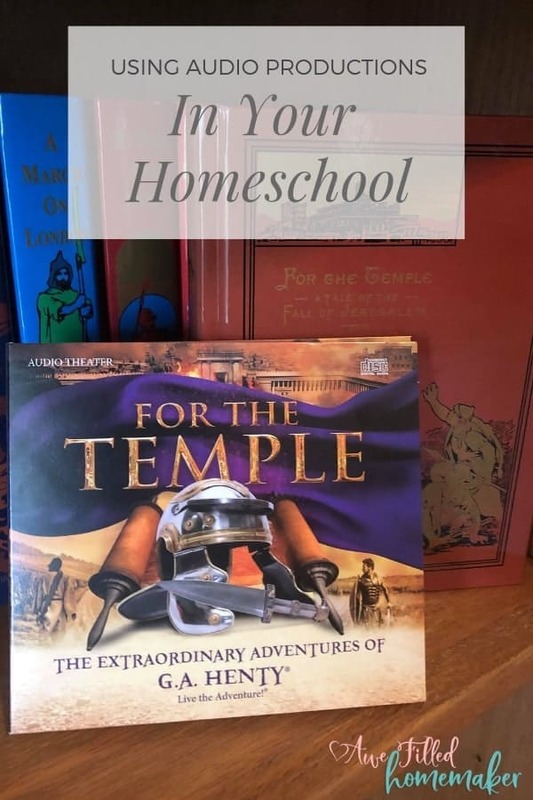 I will also confess, I am always thrilled when I am asked to review Heirloom Audio Productions because I enjoy them just as much as my kids do!